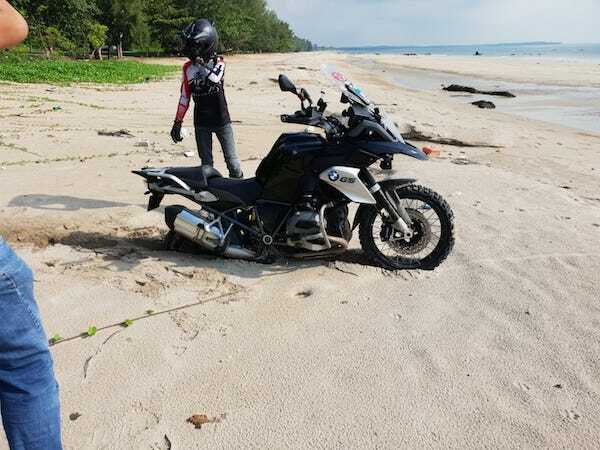 This Sunday Morning Ride, we went back to Batu Layer Beach – with 14 bikes! 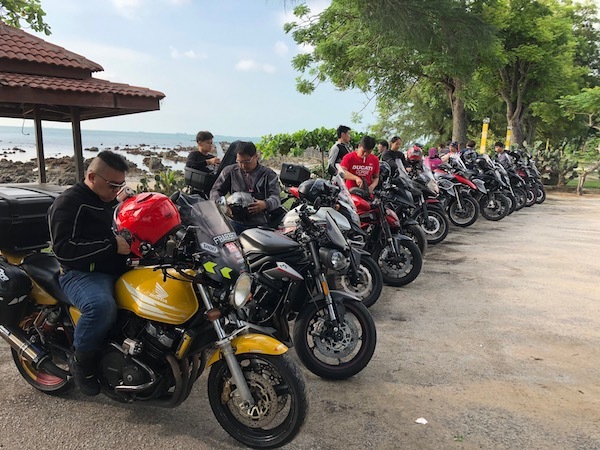 14 bikers + 1 pillion = Awesome Sunday Morning Ride! 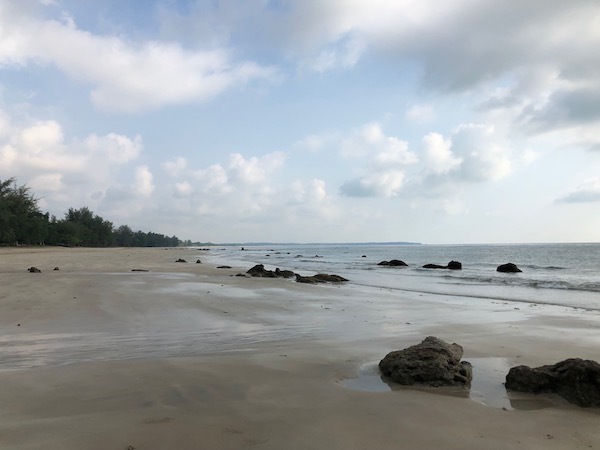 Serene beach – almost untouched by human activity… until we arrive there, of course. Bernard does it AGAIN! 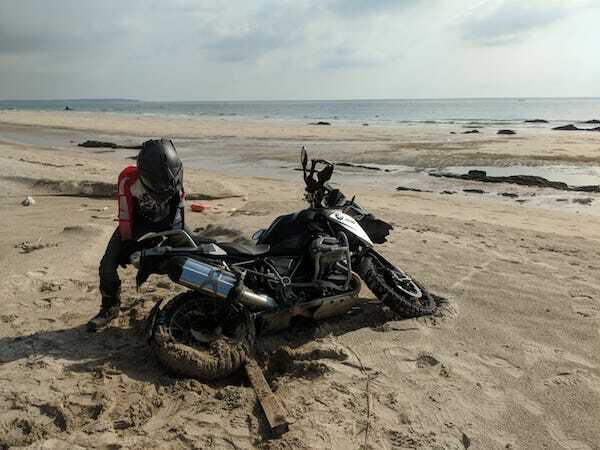 Getting his R1200GS stuck in soft sand. The sleepy GS took a short nap. 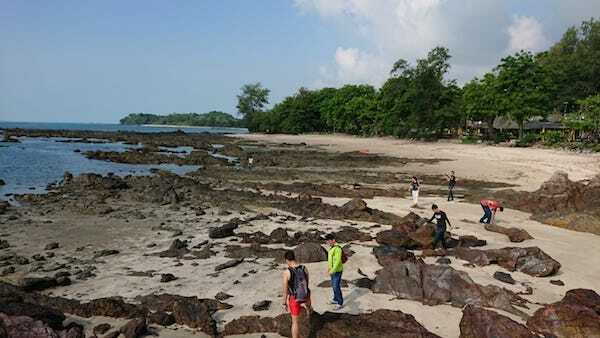 Exploring the rocky part of the beach. Sand Bubbler crabs! 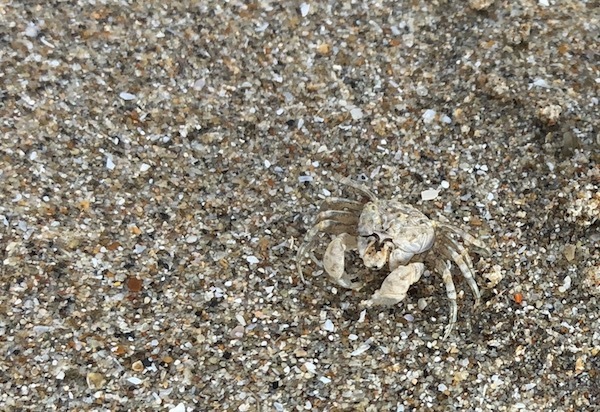 The beached was filled with these little creatures! 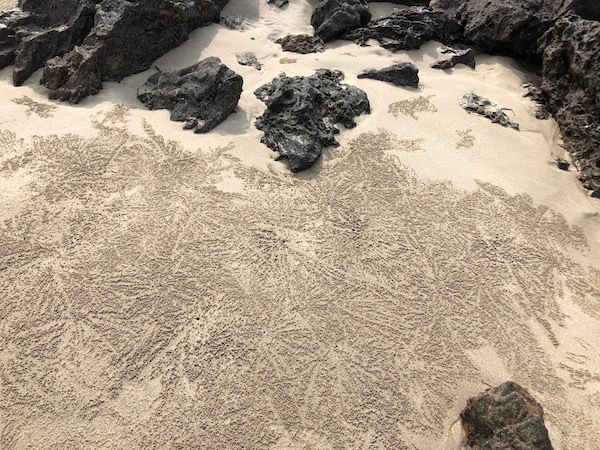 The colony of sand bubbler crabs created this artistic pattern on the sand. Next Next post: Motul 7100 4T – French or French Colony?